To be honest, I can't say I was surprised. While online last night playing Borderlands (a good game) with Hardwood and Graybush, I caught found Moricerevek playing a somewhat dubious title. Those two trademark symbols? They are both in the official name. Apparently this is the type of intellectual property that needs protecting. Onechanbara™: Bikini Samurai Squad™ is rated 48% at GameRanking and 39% at MetaCritic. Sounds perfect for Moricerevek's collection. There are two Xbox 360 themes available. 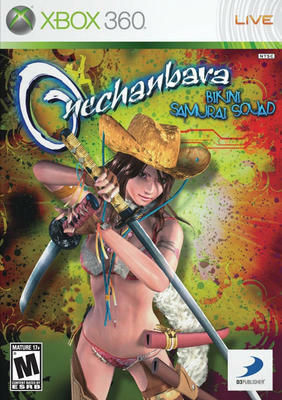 I am afraid that he will download both – Onechanbara Video Hotties Theme and Onechanbara Bikini Samurai Theme – so that he can alternate between them. 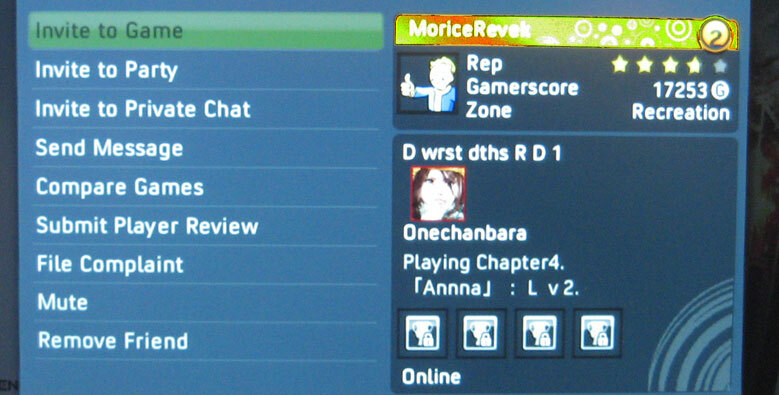 I am starting to lose hope for our dear friend Moricerevek. Psst: Moricerevek? Can I borrow a couple of movies?